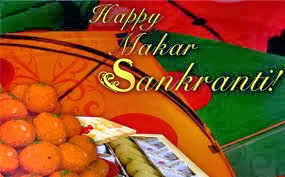 Each Indian state has its own way of celebrating festivals, and this is reflected in various festive occasions of Thane. Over the years, Thane has developed a cosmopolitan look, as many people from different ethnic backgrounds have made this place their home. As a result, festivals belonging to their respective cultures are celebrated with great zest, enabling others to be a part of their festivities. The Makar Sankranti festival, which is an important day for Maharashtrians as well as several other communities residing in this region, is mostly celebrated on the 14th of January every year. It is one of the most awaited festivals of Hindus in Maharashtra and many other states of India. On this day, a get-together of married women is organized, which is known as 'Haldi-Kunku'. A special kind of sweet dish is prepared for the occasion, using gram flour, ground sesame seeds and jaggery. A ball-shaped sweet called 'Tilgul', made using sesame seeds and jaggery is distributed among people. Among all festivals in Thane region, this particular one promotes the spirit of brotherhood. Tourists visiting this part of the world would notice it during the distribution of Tilguls, as people tell each other to forget past hostilities or ill-feelings and speak sweet words. Tourists coming from distant places for a visit to Thane during early January, would have an opportunity to be a part of these festivities. Whether they are in this region for business or leisure, a stay in Hotel United-21 can give them a chance to participate in special events organized by the staff on such occasions. This hotel hosts the best event celebrations in Thane city, and also offers special delicacies in its multi-cuisine restaurant called 'Spices & Sauces'. Other than the special events, guests of this hotel can also enjoy a world-class stay with all the modern amenities.